Is it all it’s cracked up to be? There are numerous opinions on the viability of both domestic and foreign asset protection vehicles. Foreign Asset Protection Trusts (FAPTs) were all the rage before the Anderson, and more recently, the Eulich decisions. In both cases, the “Impossibility Defense” was struck down in US court and in both cases, both defendants were tossed into jail for contempt. 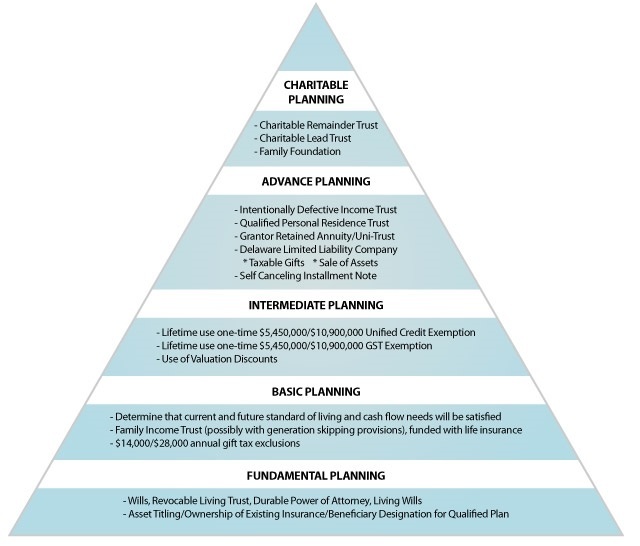 Reality is that an asset protection schematic can be integrated into a well-conceived estate plan. The keys are to explore, from a bottom-up perspective, the various vehicles that offer shelter to a client’s assets, taking into account the level of risk to a legal challenge. From self-settled domestic trusts to intricate offshore planning, the client needs to be advised of not only the potential protection the strategy affords to a client’s wealth but more importantly the level of risk that the fabric might be unwound by US Courts. Asset protection is alive and well. It’s just time for the promoters of such planning techniques to turn down the hype and fully disclose the risks before a client steps into the breach. Gary Hager and John frank are registered representatives of Lincoln Financial Advisors Corp.
Securities: California, Florida, Maryland, Massachusetts, New Jersey, New York, Pennsylvania and Texas. Insurance: California, Florida, New Jersey, New York and Pennsylvania. Unless otherwise identified, registered associates on this website are registered representatives of Lincoln Financial Advisors Corp. Securities and investment advisory services offered through Lincoln Financial Advisors Corp., a broker/dealer (member SIPC) and registered investment advisor. Insurance offered through Lincoln affiliates and other fine companies and state variations thereof. Lincoln Financial Group is the marketing name for Lincoln National Corporation and its affiliates. Firm disclosure information available at www.LFG.com. *Associated persons of Lincoln Financial Advisors Corp. who hold a JD and/or CPA license do not offer legal or tax advice on behalf of the firm. This website is designed for informational and educational purposes only. It is not intended as investment advice and is not a recommendation for your retirement savings. Lincoln Financial Advisors and its representatives do not offer legal or tax advice.